Dylan Maxwell was the funniest — and most interesting — comic creation to hit the small screen last year. But did he #DoTheDicks? Most every crime drama — true or fictional — begins with a grisly scene of a disgusting crime. And so it is with the best TV show last year, American Vandal on Netflix, which begins with the horrifying specter of 27 faculty cars spray-painted with crude red penises. Immediately, Dylan Maxwell, a slacker with a penchant for phallic doodles, becomes the suspect targeted by scholastic authorities. Facing expulsion, Maxwell protests that he's innocent, but with his checkered YouTube-pranking past, who would believe him? American Vandal is a fictional parody, it turns out, of true crime investigative shows like Serial and Making of a Murderer. And it's glorious. The inherent juvenility of the premise, dropped in the stone-faced context of the true crime genre, manages to make American Vandal gut-bustingly hilarious without removing anything that makes such a show compelling. It has the minute-by-minute time recreations. The computer-generated recreations from multiple angles. The dramatized computer-generated reenactments. The B-roll establishing-shot footage. The ominous establishing shots. In a particularly brilliant touch, the moody intro, done in the hyper-serious prestige television mode of True Detective, features the names of the fictional characters (Executive Producer: Mr. Baxter) instead of the real actors and producers, complete with a line explaining it had been made "in association with the Hanover high school TV department." This show doesn't spend a lot of time winking at the viewer. Actual jokes, one-liners and punchlines are scattered throughout, but they grow fewer in frequency as the show progresses. And, ultimately, that's a strength, a sign of the series' confidence. Despite the stakes being so apparently low — will a dumbass kid be able to come back to school? — the cliffhangers are just as riveting, the suspense just as nailbiting, the plot just as addicting as any true crime show I've watched or listened to. The fact that this show is so bingeable — I came back from an art show around 9:30 pm when it first premiered and had finished the whole season by 2 am — almost serves as a withering critique of the genre it's spoofing. If this can be so compelling, maybe it's not the importance of the facts or the intrepidness of the investigation that makes the show's influences successful. Maybe it's the whodunnit formula itself, regardless of substance. Ultimately, somehow, American Vandal it shapes up to be more insightful and self-reflective than its inspirations. Some of this is the advantage of fiction: American Vandal can craft any story it wants, where Serial and Making of a Murderer have anti-climaxes and dead-ends thrust upon them by the nature of the facts. But American Vandal doesn't go the easy route. Some actual true crime documentaries are guilty of occasionally flattening characters into heroes or villains, and American Vandal largely does the opposite. There's a lot more nuance here than even in most straight dramas. The Spanish instructor teacher holds petty grudges, but otherwise cares about most students. You understand exactly why she hates Maxwell, but also understand how unfair she's being. Maxwell's supportive girlfriend turns out to be a mess herself, both a villain and a victim. She's a character more troubled and real and complicated than any heroine on a CW drama. Nearly every character has a lot going on underneath. That's particularly true with Dylan Maxwell, the show's greatest creation. He's dumb, he's slow, he's impish, he's self-destructive, he's irritable. 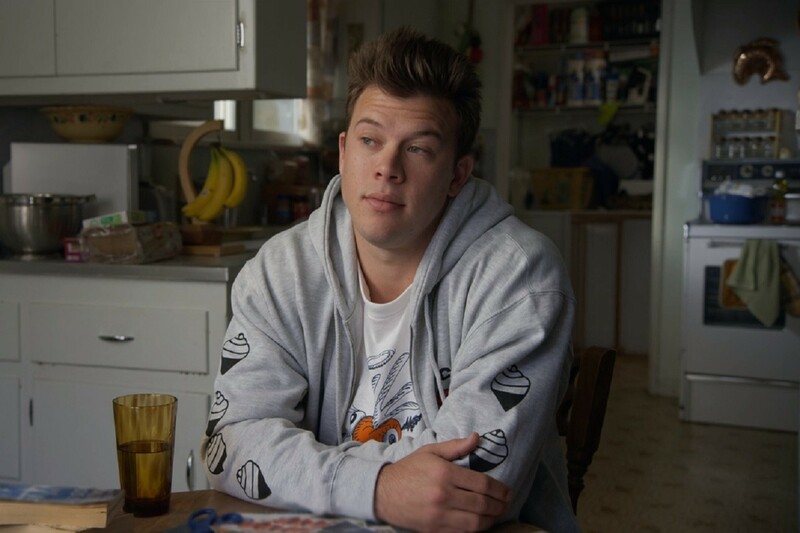 But the writing, and particularly the performance by Jimmy Tatro (22 Jump Street), takes him beyond caricature. By the time he makes a particularly dumbass choice in the last episode, it's both heartbreaking and entirely justified. Too many teen shows and movies portray high school by relying on lazy social stratifications dividing goths, jocks, nerds, and bubblegum-pink cheerleaders. Popularity still clearly exists in American Vandal, of course. But they're more fluid and complicated than rigidly drawn borders of high school cliques. It understands how a student can go from a nobody to a social media star and the limits of that stardom. It gets how smartphones have turned the high school social sphere into a panopticon, where nearly every moment can be documented, replayed, and hyper-analyzed. It understands how kids feel they have a role to play in high school and how they play that role even when it destroys them. And that theme, as it comes at the ending, is particularly deft. It's neither a clear answer to the show's central mystery nor a dodge. Instead, it focuses more on the fallout to the characters from the in-universe documentary series finally airing. In doing so, it explores the nature of journalism maybe better than any work I've seen. Seriously. American Vandal, in the end, gets at the complicated and nuanced core underneath the profession. It can right wrongs, yes. It can marshal the evidence to free an innocent-ish kid. It can tell a story that's addictive, compelling and fascinating. But along the way, it can really hurt people. It can expose dirty laundry of bystanders and, in the end, that's all it turns out to be: dirty laundry. Sordid details and soiled reputations. Yes, journalism can expose the truth — or at least debunk falsehoods. But there's a cost to that too. While the truth can set a person free, it can't scrub away the stain of the scandal or conceal the ugliness that's been exposed in the glare of the spotlight.